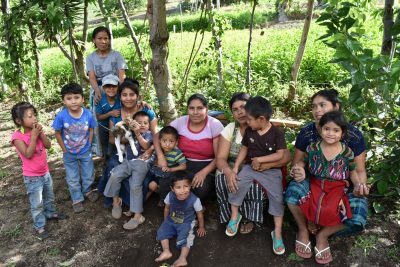 Health and Nutrition in Guatemala: Following on from the success of the Tilapia ponds in 2016 , we are working with Small Change 4 Big Change in Santa Caterina Barahona Guatelmala on three projects in 2017. Firstly a “Mother and Baby Health and Nutrition Programme ”, which is a collaborative course targeting pregnant women and mothers with children under the age of 2. The class will cover a wide range of topics in order to educate women on how to maintain maximum health in the home and utilize resources at their disposition. Secondly an eight week workshop for 20 under privileged indigenous women and their families on “How to Raise Healthy Chickens At Home”. Those completing the course will receive 8 chicks to raise providing the family with much needed protein from the eggs and income from eggs that can be sold. And finally an ‘Introduction to Gardening’ for pre-school children (aged 3-6) to address nutrition and healthy eating habits. The pilot programme would be a group of 20 under privileged children, for eleven months. The majority of the children suffer from food deprivation and therefore have stunted growth and other associated medical issues. Nutritional aid in Mexico: Pasitos de Luz is a day care centre in Puerto Vallarta, Mexico which provides services for 120 severely disabled children and their families living in extreme poverty in the local communities. The services offered include: Physiotherapy, special education, hydrotherapy, hygiene, occupational therapy, art, dance and music workshops ad nutrition and dietry assistance. The LATA Foundation has funded a year’s worth of protein-rich beans and lentils through our long established partner, New Life Line. Building a cultural exchange space in Argentina: The Buena Vida Foundation, an NGO based in Salta, Argentina, is supporting members of the Peña Morada community towards their aim to ensure the ongoing tradition of Guarani basketry techniques, whilst at the same time developing socially responsible opportunities for income generation. With the contribution of funding from LATA Foundation in 2015, Buena Vida helped the local residents to build an environmentally friendly craft and culture centre which will serve to be a community space for education, a promotional space for their wares and a new environment for cultural exchange. This visitors centre was inaugurated on Saturday 16th December 2017, and the Yariguarenda Guarani Community have developed a range of services such as biking trails, traditional cooking workshops and Guarani cultural experiences. Read more about it here. The LATA Foundation has also provided funding for Buena Vida to run programmes of community engagement and skills development with members of the Peña Morada community so they are empowered and able to develop socially responsible tourism. Though still in the early stages of the project, at the beginning of 2016 the community were pleased to have received their first international visitors. 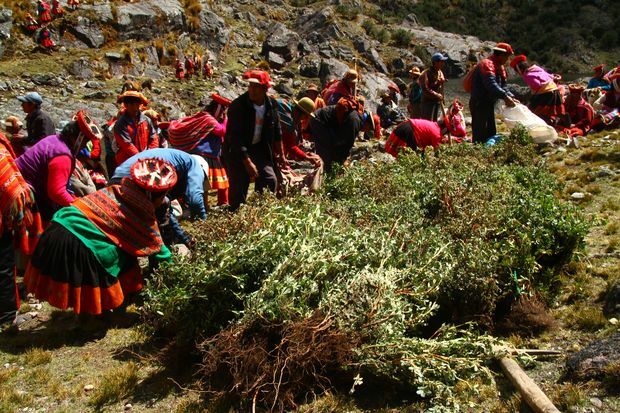 Tree planting i n Peru: The LATA Foundation worked in partnership with local NGO, ECOAN to plant native trees in the Sacred Valley, Peru. The Ecoan reforestation project aims to plant a million native trees by 2020. The project is a whole family affair; the men dig the holes, the women plant the trees and the kids pick up the plastic. Through this work ethic it is possible for 250 people to plant 10,000 trees a day. To date, 250,000 trees have been planted, 30,000 of which have been provided by the LATA Foundation, covering an area of 30 acres. Through contact with the LATA Foundation, one of Peru’s online facilities for booking bus tickets began supporting the reforestation campaign by pledging one tree for every five tickets sold, or for every 10,000 searches. Sustainable coffee production in Guatemala: In partnership with De La Gente (formerly As Green as it Gets) in Antigua, The LATA Foundation supported their work with the communities of San Miguel Escobar near Antigua, La Suiza in San Marcos Province and Santa Anita in Quetzaltenango Province in combatting the threat of La Roya coffee fungus. Roya is having a devastating effect on coffee harvest throughout Central America, reducing yields by as much as 70%. Through careful application of fungicides and nutritional supplements and farm-management training and technical assistance, San Miguel Escobar and La Suiza have already seen improvements in their coffee yields, with La Suiza exporting their coffee for the first time in 2015. Sana Anita has experienced the greatest challenge over the past few years but they have recently sprayed their plants after harvest and we hope for a positive outcome. 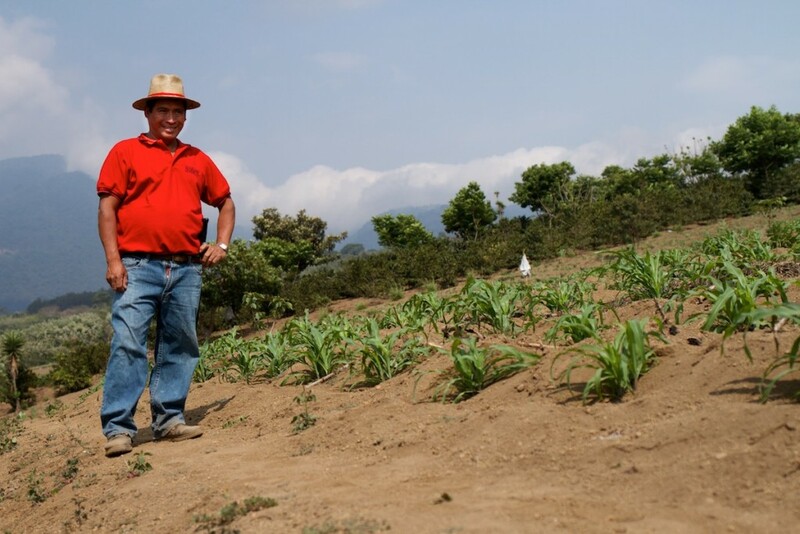 In addition to the Roya management program, LATA also funded a crop diversification project in La Suiza. This has enabled them to construct a new greenhouse, purchase seeds and receive training on cultivation of other food crops, so that they will be able to produce their own food and be less reliant on coffee as a source of income for additional food purchases. 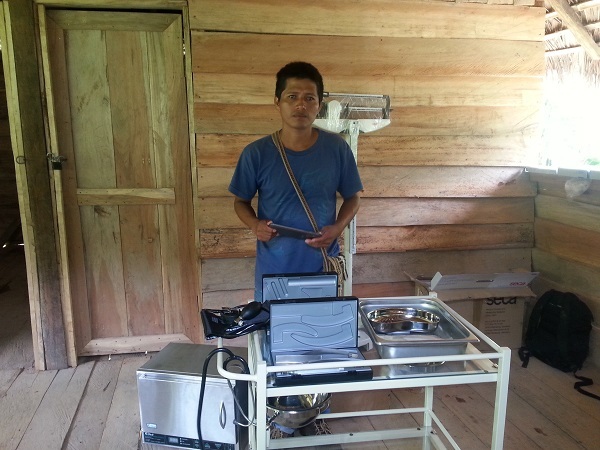 Outboard m otor in Ecuador: In 2015 the LATA Foundation, thanks to the support of Oxted One World Group, provided funds for an outboard motor for the remote La Mediania Community in the Rio Verde Municipality of Ecuador. The outboard motor will enable the community to better access medical facilities in Chumunde, which is the closest river port and town (5 hours away by boat). Due to its remote location, the community of La Mediana had previously not been able to receive fast treatment in medical emergencies; this has now changed. The community is in the process of building a new canoe with wood from their forest. It has also been agreed that a group of physicians will travel on the new canoe twice a month to visit La Mediana to deal with health issues. With time, the further goal of the La Mediana community is to receive visitors by canoe to their remote outpost and develop a sustainable tourism programme on their 2,050 hectares of primary forest located in the heart of Esmeraldas forest – which they have decided to maintain through eco-tourism instead of deforesting the woods. 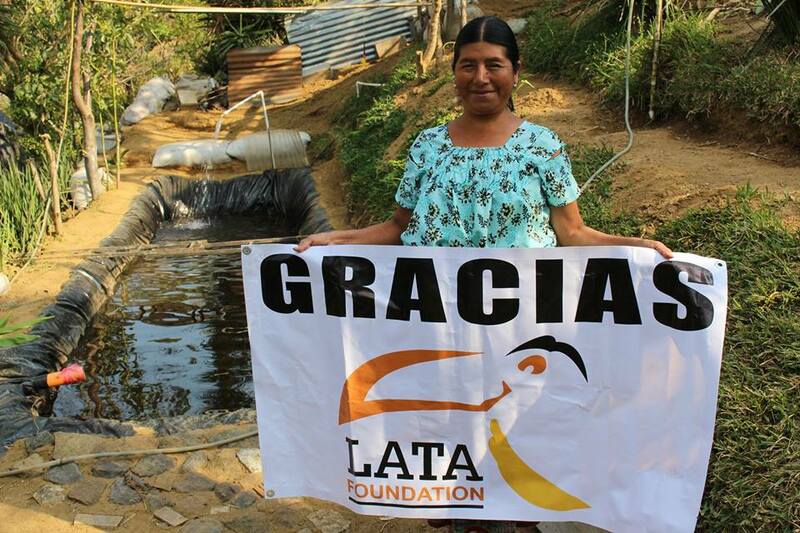 Tilapia ponds in Guatemala: the LATA Foundation helped fund the construction of 10 Tilapia ponds in Santa Catarina Barahona community through our partner New Life Line and smallchange4bigchange. The families who have received the ponds have basic, often nutrient deficient diets and Tilapia is not only rich in protein and omega 3 acids but thrives in small ponds. After 6 months they are ready to eat providing food for the families as well as a source of income. The ponds are filled by water from the village’s own springs and the ‘run-off’ water can be used as an organic fertilizer for other food crops and plants. 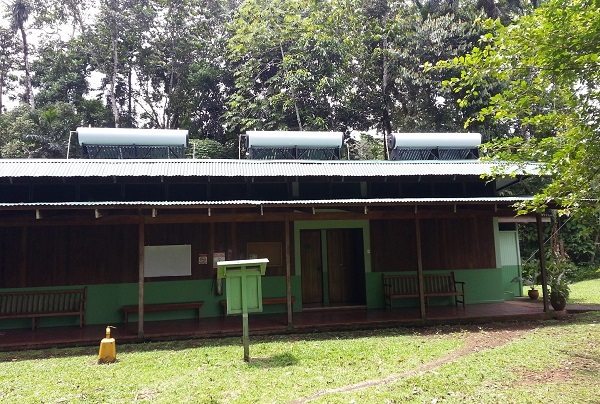 Solar heating project in Costa Rica: The Organization for Tropical Studies (OTS) runs La Selva Biological Station in the ecologically diverse ecosystem of La Selva, one of the premier sites in the world for ongoing research in lowland rain forests. Work on climate change and its impact on biodiversity in tropical wet forests has become a significant area of study at the station. Several LATA members’ clients already visit La Selva Biological Station as part of a Costa Rica tour. In 2014-15 the LATA Foundation supported the station’s Greening Campaign, which aims to cut electricity usage by 50% within 5 years, by providing a solar water heater for the two cabins used by visitors. This removed the electrical heaters on the shower heads in the two cabins and provides hot water to natural history visitors, dedicated bird watchers, and other guests staying overnight at the research station. This project saved costs for OTS overall, promotes sustainability to visitors, and is more environmentally friendly. 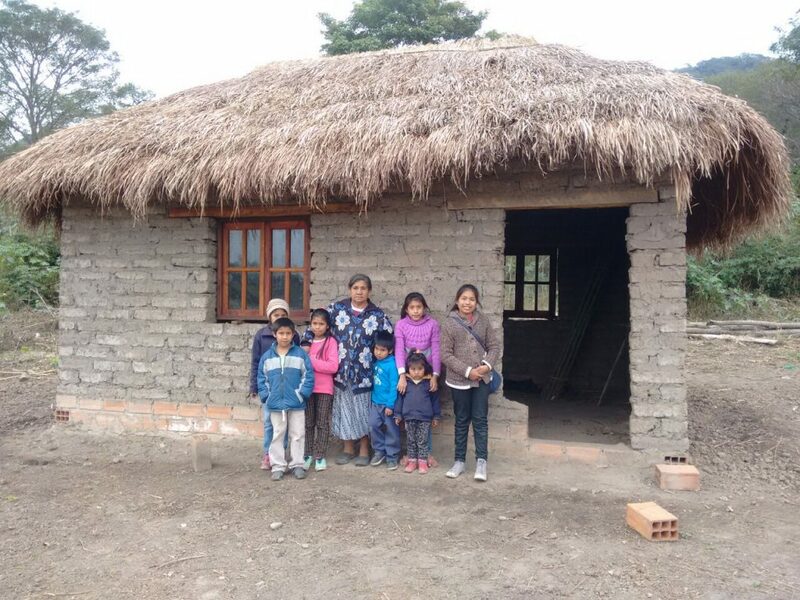 Language school in Peru: The LATA Foundation supports local NGO Awamaki who run a number of cooperative projects to provide rural impoverished women with new skills. They also accept placements for international volunteers and students. 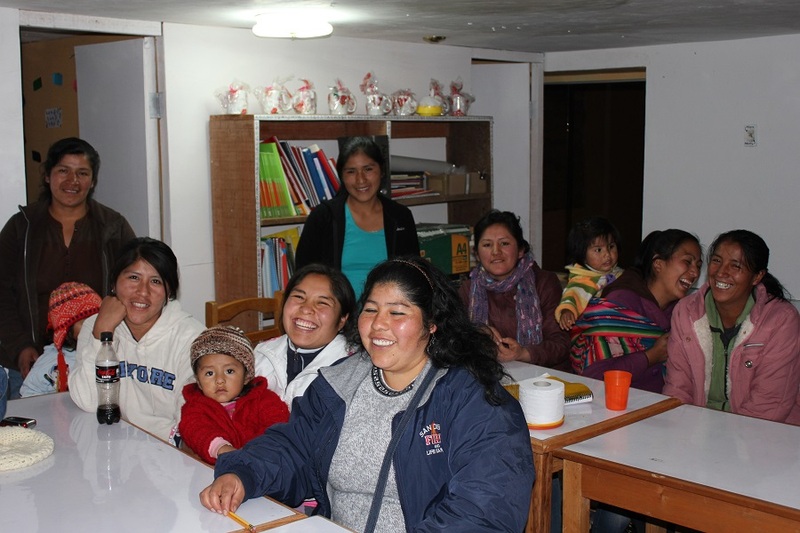 With our support, Awamaki set up a teacher training and language school in November 2011, training women to teach Spanish to tourists and volunteers in Ollantaytambo, in the Sacred Valley of the Incas, between Cuzco and Machu Picchu. In October 2013, thanks to the funds raised by Annie Scott and the team from Las Iguanas who ran the Bristol half-marathon, we are able to provide additional teacher training support, school improvements and new teaching materials. We will also be helping the Awamaki language school to grow. Turtle Conservation in Venezuela: There are 5 types of turtle in Venezuela; hawksbill and leatherback turtles are both on the IUCN critically endangered list; green, loggerhead and Olive Ridley turtles are endangered. 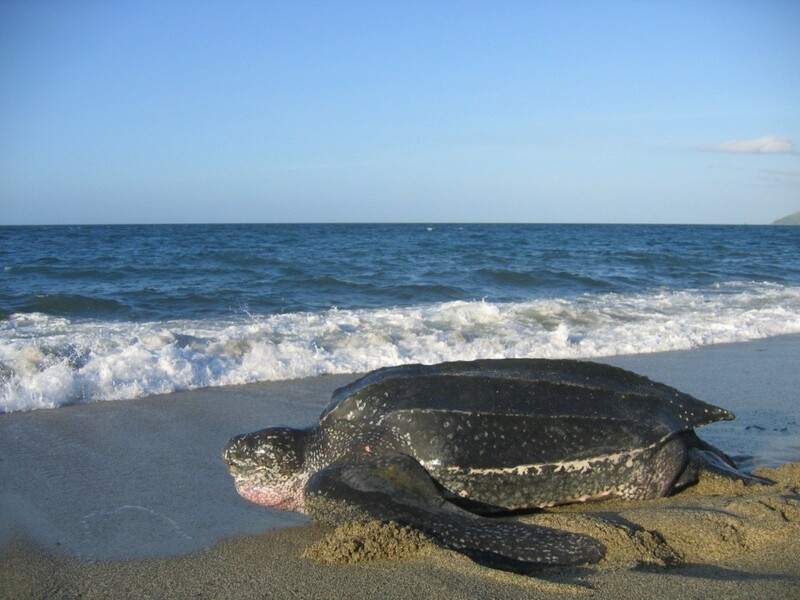 The LATA Foundation is supporting the work of CICTMAR, the Centro de Investigación y Conservación de Tortugas Marinas, to protect turtles on two beaches in the Paria Peninsula, a nesting site for loggerhead and green turtles and the most important mainland nesting location for leatherback turtles. Funds support turtle research and life-changing social development in the region. In recent years, CICTMAR have trained a young biologist to do data entry, logging the statistics about nesting turtles and their eggs, and survival of hatchlings. 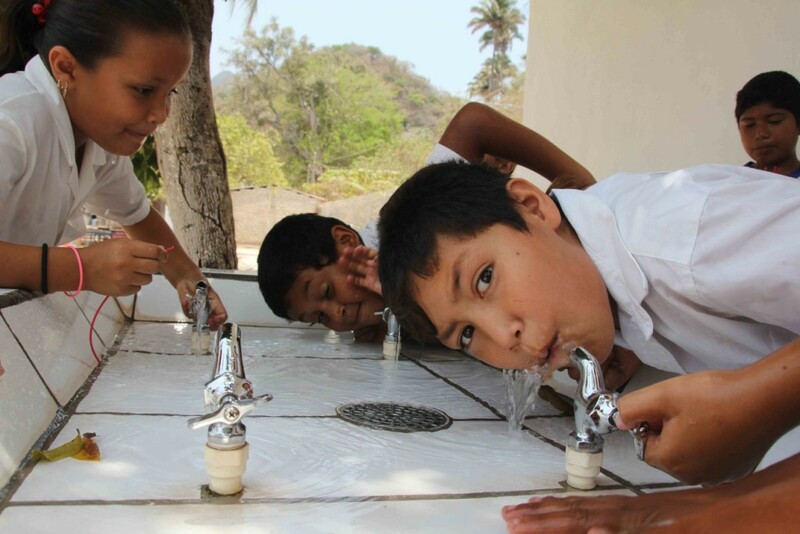 Clean water in Mexico: In partnership with New Life Mexico, The LATA Foundation have built 4 water fountains in schools in Puerto Vallarta, which are being used by over 2700 children. The fountain design is tried and tested and yields 1,168,000 glasses of water per year. The fountain has 6 spouts and can fill around 1,000 one-litre bottles every day. A water engineer visits the fountains regularly to ensure that they are maintained properly and working well. Filters need to be changed every 2-3 weeks, depending on usage. The LATA Foundation continues to support New Life Mexico water projects by supplying filters and maintenance to help provide clean water to hundreds of people every day. Natural cosmetics in Guatemala: The LATA Foundation provided all the start up costs to fund a cottage industry near Antigua to produce a range of natural cosmetics. The equipment we provided included a 20 ton oil press to process coconut oil, cocoa butter and avocado oil, a filtration system and vacuum distiller, scales, blenders and all the necessary equipment for producing and packaging a range of products, including soaps, shampoos, hand and face creams and a line of scented oils. There are now 15 people producing natural cosmetics and in addition the project supports farmers growing macadamia nuts, castor beans, avocados and other essential ingredients, it helps bee-keepers too and the people who process macadamia nuts and avocados to extract oil using the equipment we provided. The project is run by local NGO De La Gente (formerly As Green as it Gets) who also support a number of craftsmen and women producing a range of products. In addition, they help a cooperative of coffee farmers who grow, process, and roast 100% arabica coffee so you can follow the production from bean to cup. 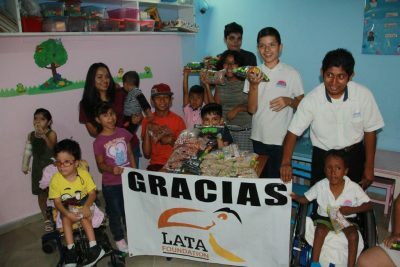 Helping the disabled in Peru: In partnership with Kiya Survivors, the LATA Foundation were involved in plans for an enhanced Visitor Centre and vocational training to support disabled students in the Cusco area. Kiya Survivors help 200 children and young adults at a school, a children’s home and a therapy unit. The young people who attend have a range of disabilities including Down’s syndrome and autism – Kiya’s initiatives aim to provide them with useful work experience and skills. Unfortunately, in 2014 Kiya had to change their plans and leave their Visitor Centre, relocating to their orphanage. The work originally planned through our collaboration was unable to come to fruition as envisaged, and so after some initial funding, we now await further developments. 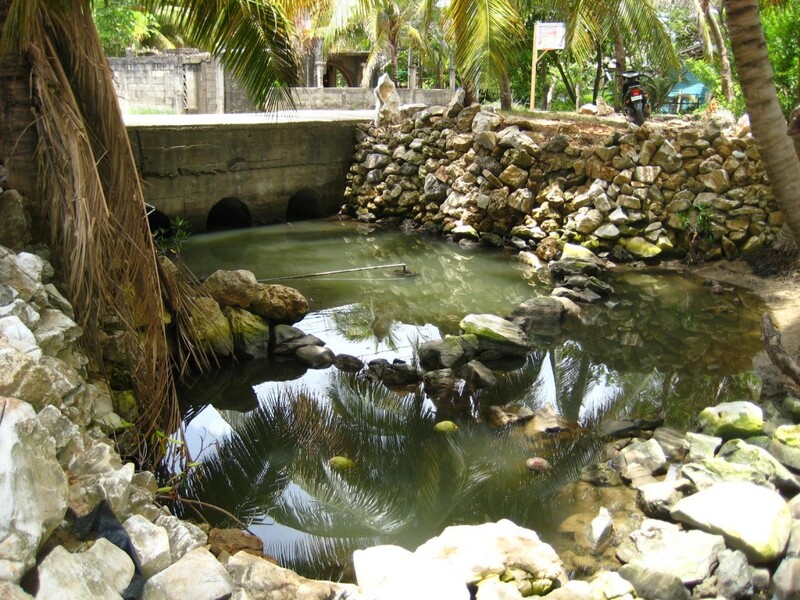 Creek revitalisation project in Honduras: The LATA Foundation worked in partnership with Adopt an Estuary and Island Friends Roatan on a pioneering sewer creek restoration project on the island of Roatan. For all its natural attractions as a world-class diving destination Roatan has many estuaries and creeks where waste water is discharged directly into the sea, harming the surrounding reef. By removing sludge, digging out and building underwater rock walls on the side of an estuary, the project has created macro-biological ponds to filter and treat toxic water. The project is helping transform black water creeks on Roatan and turn them into safe and healthy water systems, as well as help to prevent the spread of dengue fever and malaria and is creating a habitat for marine life including juvenile reef fish, barracudas, and crustaceans. In the future Adopt an Estuary plans to create a Cultural Center next to the Estuary hiring local employees and featuring Latin and Caribbean music, clean food and beverages, and teach tourists and visitors about the project. 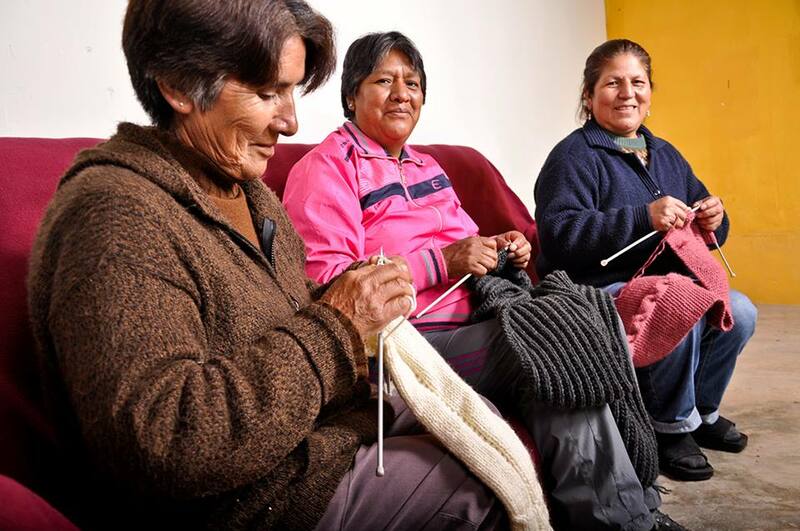 Knitting cooperative in Peru: In partnership with Blue Sparrow (formerly Expand Peru) the Lata Foundation provided micro-finance to help rural women in Huancayo, Peru, to set up a knitting cooperative. The micro-finance provided helped the women access both local and international markets for their goods. The women were able to establish relationships with two online retailers who have made repeat orders and recommended their products to others. Their business has now grown to include new product lines and the women have been trained to knit new sweater designs in addition to the original hats and scarves. Friends of Alalay: Alalay offers support and help to homeless children in the city of Santa Cruz, Bolivia. Children as young as three who have been abandoned and are forced to beg and steal to survive have been taken in by the project and are given food, shelter, learning opportunities and support. The LATA Foundation currently funds scholarships for four ex-street children, with the aim to help them find employment in the future. Click here to read more. Todos Juntos: Setup in 2005 by Fiona Watson, the Todos Juntos project provides free dental care and oral hygiene for thousands of impoverished children in the northern suburbs of Buenos Aires. The project has expanded and there are now three clinics offering treatments to children, many of which walk for miles to receive treatment. The LATA Foundation donates towards the running of the clinics, which has seen more than 35,000 children treated since its creation. Click here to read more. 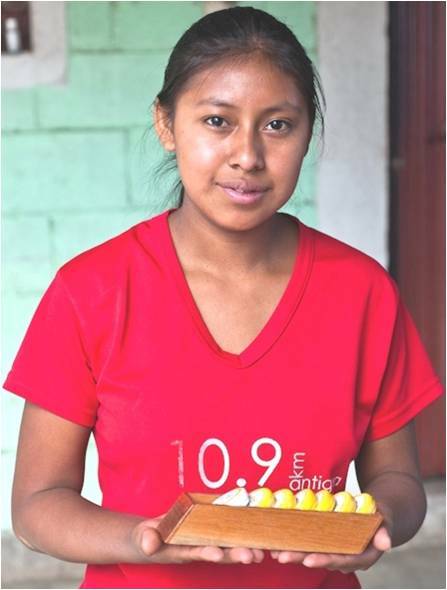 Children Change for Colombia: The UK charity, Children Change Colombia, and Tiempo de Juego, a Colombian NGO, support children and young people who are at risk of forced recruitment and violence in their communities. Through innovative arts, drama and music activities, this project encourages the children to explore the challenges they face in their daily lives and help them develop the skills to overcome these. In this way, Tiempo de Juego hopes to equip children with the tools needed to create a safer community and forge a brighter future for themselves. Click here to read more. Wildlife rehabilitation in Costa Rica: For a number of years, the LATA Foundation has been supporting Kids Saving the Rainforest (KSTR), a centre that rescues and rehabilitates injured and orphaned wildlife in and around Manuel Antonio National Park, Costa Rica. In 2018, we are funding a reforestation project, which will provide habitats and food for wildlife that is currently being rehabilitated at the centre. Previous support includes funding tracking collars for sloths that have been released back into the wild, as well as spider monkey rescue and rehabilitation projects. We have also linked the project with our tourism contacts in Costa Rica – KSTR are open to the public and provide fascinating and informative tours of the centre, giving tourists an idea of the problems that Costa Rican wildlife is facing. All donations go back into the running of the centre. Click here to read more. Konojel Community Centre: The Konojel community centre opened in 2011 in the town of San Marcos La Laguna, on the shores of Lake Atitlan, to combat chronic malnutrition through education, community development and nutrition programs. The LATA Foundation was introduced to Konojel in 2015 and supported their Sabor del Sol (Taste of the Sun) women’s cooperative by funding catering equipment for their Comedor Konojel (café) which was opened to cater for tourists visiting the town, generating an income for the ladies and funds for their daily lunch program (they provide a healthy lunch for those at most risk in the community). After a successful first year they wanted to expand the café and increase the number of evening shifts so we helped them with a pilot programme to test the financial viability of the shifts, helped them install a new bathroom and funded English-lessons for members of the community who were likely to have contact with English-speaking visitors. We are delighted to hear that the venture has been such a success that the café is now self-sustaining! Click here to read more.